Our organization is involved in manufacturing and exporting a wide range of Stainless Steel Gate & Grills around the globe. These products are made of high graded steel materials sourced from foremost mines. 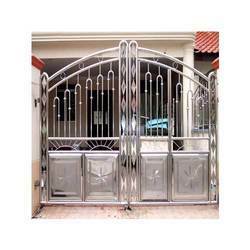 All our gates and grills are saliently featured with complete steel body, easy paintable outer layer. 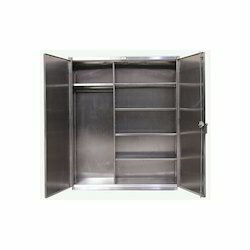 All the products listed under this category are Stainless Steel Gate and Stainless Steel Grills. We manufacture a wide range of Stainless Steel Grills and stainless steel gates that not only add elegance to the door but also provide security. 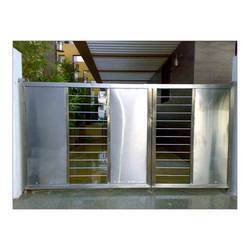 Made up of high-quality stainless steel, these gates and grills are known for their strength and sturdiness. 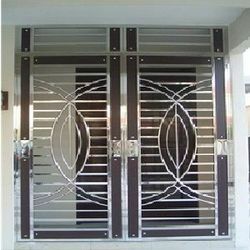 Our range of stainless steel grills and stainless steel gates is manufactured exactly as per the specifications of our clients thereby ensuring complete client satisfaction. We offer a wide variety of stainless steel grills and stainless steel window grills that is fabricated using high-grade stainless steel.We do customization as per the client's requirement. We offer to our customers a Creative range of home furniture, which is finely carved. Appreciated for attractive designs, patterns and shapes, these dinning sets are crafted by experienced designers and craftsmen to give flawless finishes. Keddy Concept is one of the leading manufacturer and supplier of the gates. We provide quality material as per requirement in competitive price. These Sliding Gates works on a simple but effective mechanism by sliding on the either side of the opening. Tested graded steel are used for the manufacturing of these gates & thus the gate is strong to protect your premises from an unauthorized access. Own Design & In-House Manufacturing process. We offer high grade gates which are manufactured from superior quality raw material such as mild steel, brass and cast iron. These are secure but are easily operational with unlock device installed with personalized key. We operate from one of the most modern design facilities in the. 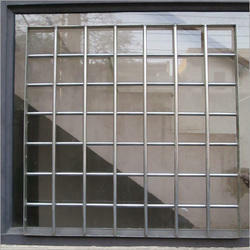 We are a leading manufacturer and supplier of a Stainless Steel Window Grill. We manufacture these product in various shapes,sizes,Grade are available here. as per required of the Customer. We are engaged in offering a diverse range of Industrial gates, which are made using quality raw materials in compliance with industry standards. The wide range of products is available in various designs and tolerances. Our range are hugely acclaimed by our clients for their compact in design, noiseless operation and extremely easy to install. We provide Gates to our clients in varied designs and finishes to add a royal grace to the entrances area. Manufactured using quality iron, they provide complete safety to homes and offices. Further, our range is also widely used in homes, farm houses and commercial places. Keddy Concept is one of the leading manufacturer and supplier of the Steel Doors. We provide quality material as per requirement in competitive price. 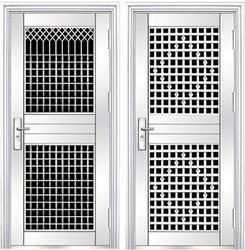 We are a leading manufacturer and supplier of a Steel Window Grills. We manufacture these product in various shapes,sizes,Grade are available here. as per required of the Customer.